The Scientific Organisation of Medical Students (SOMS), in collaboration with the Optissima Clinic, offers you the opportunity to participate in the clinical trial “The impact of ophthalmic pathology on people above 55 years old”. Starting with February 1, we aim to cover the basic ophthalmologic procedures, useful as a diagnostic tool and in the follow up of the evolution of pathologies such as: cataract, age-related macular degeneration, diabetic retinopathy, hypertensive retinopathy and other frequently encountered eye pathologies at patients over 55 years old. This project is addressed to students of the Carol Davila University of Medicine and Pharmacy with an interest in ophthalmology, who want to acquire new information or strengthen their knowledge in this field. What are the benefits of participating? You get to learn, in a short period of time, the basic ophthalmologic procedures that you will be useful in your future as a clinician. Moreover, you will learn how to process the patients’ data in order to integrate it in a prospective study. Please login and make sure that you are a SOMS associate/full member in order to access the form below. When it comes to doing lab work, previous experience is always a key advantage. Being familiar with research can make the difference when applying for a job – and it can fast track your career. The first step is always the hardest, but we are making it a little easier for you. Join RISE – Research Is Strongly Encouraged – our internship programme which allows you to work in a lab. If you’ve ever imagined yourself doing research, now it’s the time to try it. The good thing is – you don’t have to be worried about your lack of experience, because that’s exactly what we’re looking for. We just want to connect passionate beginners with laboratories where they can get training. But opportunities like this require a serious involvement from your part – so keep in mind that you are applying for a long term internship (with a flexible schedule). The exact rules vary from one lab to another. Read about our research programmes and choose one. After the deadline, we will send your application to the doctors. They will make the selection and will set the time and place of the interviews. You will find out by email whether you have been accepted or not. 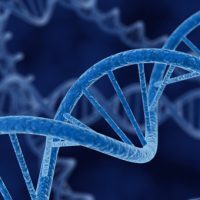 Description: The following genetic techniques will be employed in this project: microarray-based comparative genomic hybridization (array-CGH) and next-generation sequencing (NGS) during the first 6 months. In this internship, students will be allowed to observe the protocols, to assist in data analysis, and to help with data entry in Microsoft Excel or Access databases. Description: In this project we plan to validate a new method for chimerism assessment, both in vitro and in vivo, with several layers of novelty: the target is RNA rather than genomic DNA; the targeted RNA is highly expressed in the population of interest, i.e. graft/host hematopoietic stem and progenitor cells (HSPCs) and myeloid cells; the assay evaluates the polymorphism transferred to RNA; the polymorphism is quantified with the droplet digital PCR technology (ddPCR). Description: You will have the opportunity to study protein expression by performing single (ELISA, Western Blot) or multiple protein analysis techniques (2D-DIGE, xMAP, SELDI-TOF-MS). 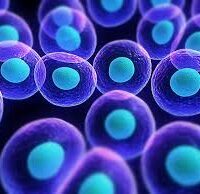 You will also learn cell culturing. Participants can count on experience drawn from a longtime collaboration with students. They will be able to incorporate their work in a graduation thesis, take part in scientific conferences or help write articles if they desire to do so. Please note that it usually takes at least a year of daily involvement in order to obtain original results. No exciting project comes without a few challenges! 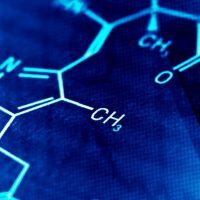 You will undertake a 3-week summer internship that will teach you techniques in molecular biology, upon which the coordinator will decide if you continue to further work in the lab during the university year as well.